Colleen Foley is Chair of the Electric Utilities Practice where she concentrates her practice on regulatory and rate matters for public utilities and energy companies. 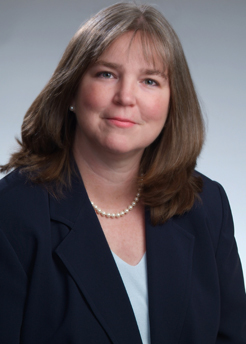 Colleen brings to Saul Ewing Arnstein & Lehr extensive experience representing water, telecommunications, electric, and natural gas utilities in rate and regulatory matters before public utilities boards and commissions, with an emphasis on New Jersey. She has worked extensively with Atlantic City Electric Company in the administrative proceedings associated with the restructuring of the electric utility industry in New Jersey, as well as many other corporate matters including financings, mergers and asset sales. She has also assisted Elizabethtown Gas Company on a variety of regulatory and corporate matters. Additionally, she has represented United Water, Middlesex Water Company and Aqua New Jersey in numerous rate cases and other regulatory proceedings. She has represented clients in nearly every major utility merger in New Jersey in the last decade. Previously, Colleen worked for the New York Power Authority as a strategic planner developing power generation projects in New York State. Colleen is admitted to practice in New Jersey, and before the U.S. Court of Appeals for Veterans Claims where she represents veterans on a pro bono basis. The Hon. Tom Ridge, Top Energy and Utilities Executives Lead Annual Symposium: "Cyber Security Threats in the Energy & Utility Industries"